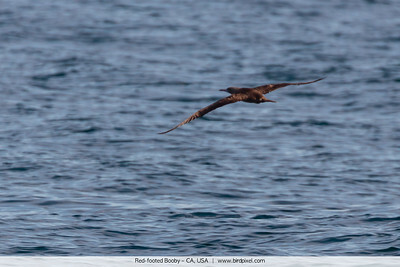 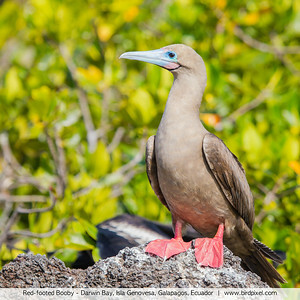 "Red feet" of the Red-footed Booby. 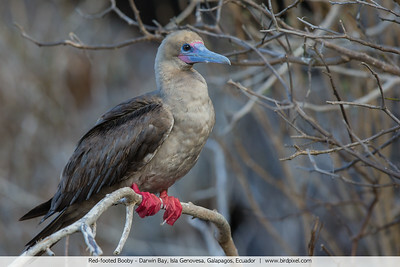 Photographed at Darwin Bay, Isla Genovesa, Galapagos, Ecuador. 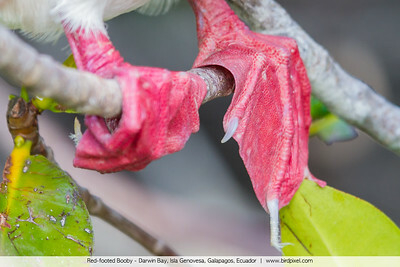 These are from the white morph. 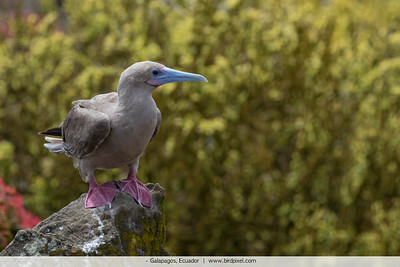 Red-footed Booby chick on the sand at Darwin Bay, Isla Genovesa, Galapagos, Ecuador. 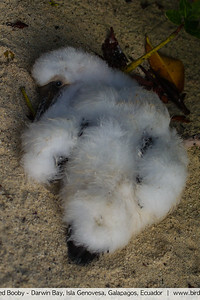 We thought the bird was dead, but it was just resting. 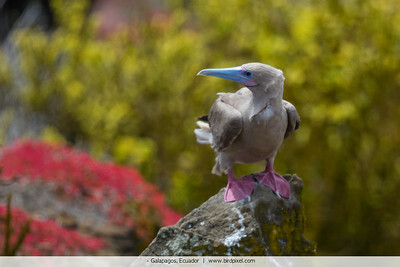 Sula sula World Species #921 Red-footed Booby photographed near the Prince Philip's Steps, Isla Genovesa, Galapagos, Ecuador. 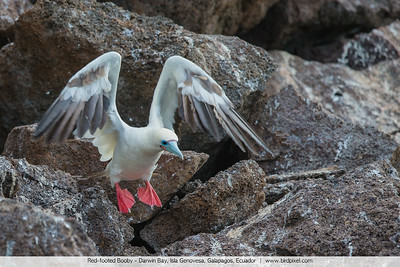 Just look at those red feet! 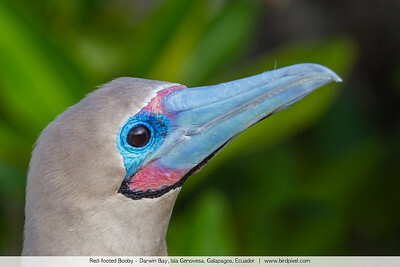 The color is simply amazing isn't it? 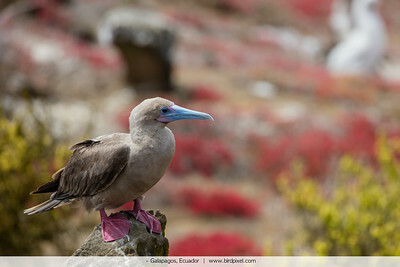 We saw these birds mostly on Isla Genovesa or the Tower island as it used to be called. 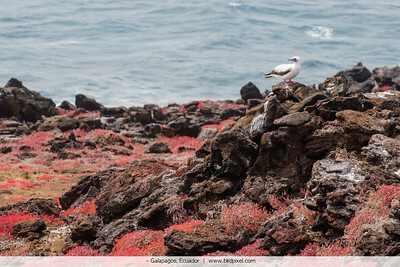 There are two morphs, the white and the brown. 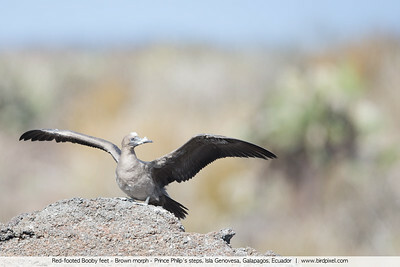 This is the brown morph. 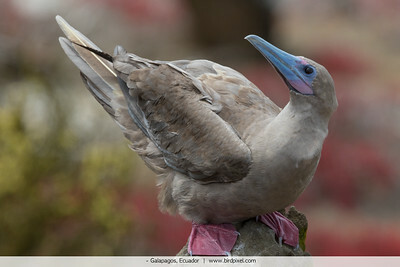 Also sharing photos of the white morph and a portrait of the brown morph. 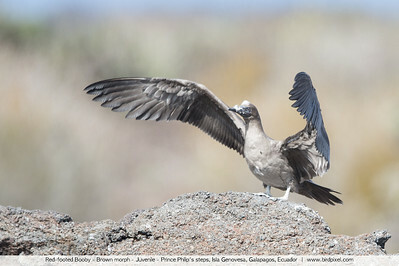 The Darwin bay is a caldera of an extinct volcano and the Prince Phillip's steps are a steep set of steps leading up a lava rock. 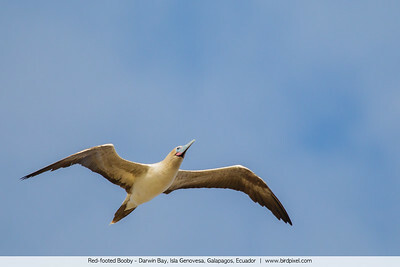 The sunset here was fantastic as were the birds, especially the Boobies - Red-footed as well as Nazca. 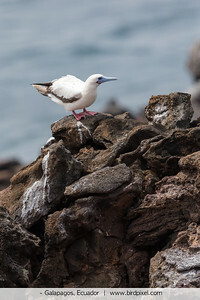 The other important birds we saw here were the Galapagos Shearwaters and the Galapagos sub species of the short-eared Owl. 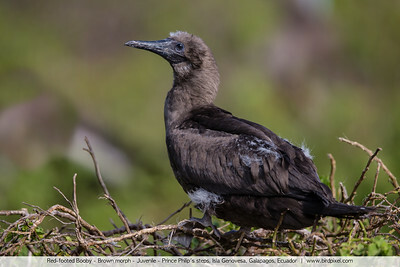 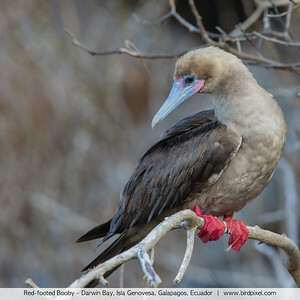 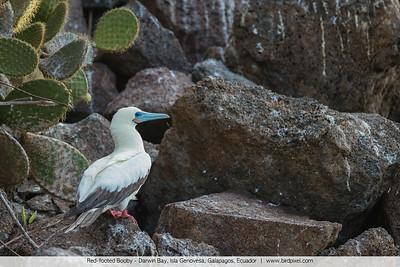 A juvenile brown morph Red-footed Booby photographed near the Prince Philip's steps, Isla Genovesa, Galapagos, Ecuador. 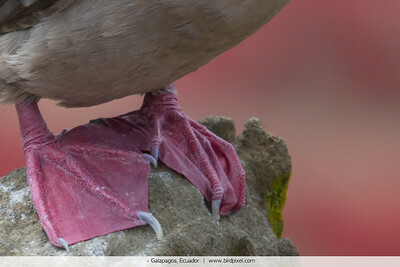 Note the absence of the red feet. 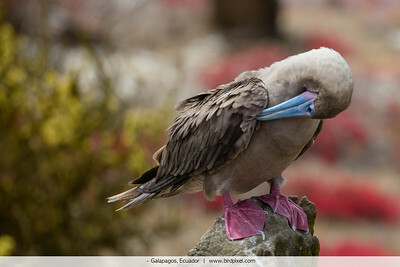 Also note no blue in the bill. 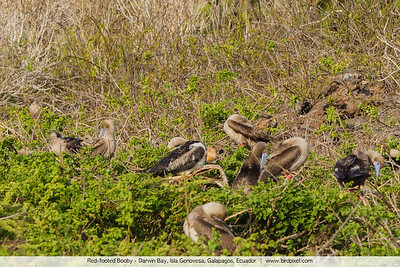 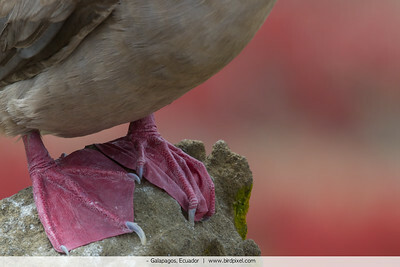 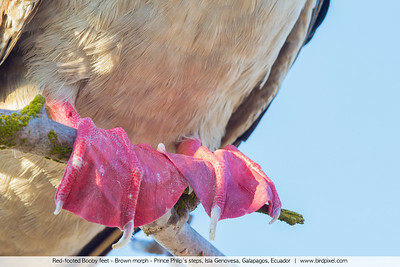 The feet of a brown morph Red-footed Booby photographed near the Prince Philip's steps, Isla Genovesa, Galapagos, Ecuador.